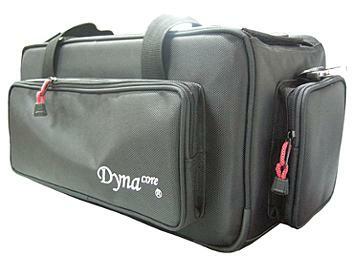 Dynacore DCB-420 (Grey) offers a series of camera bags for professional camcorder and digital camcorder. Expert notion, the use of sophisticated materials such as Nylon 1680D and solid hardware, water-proof and shock-proof design provide your equipment with a maximum protection and gives you convenience when carrying and traveling. Canon: XH A1, XH A1s, XH G1s etc. Panasonic: HMC 41, HMC 150, HMC 151 etc.